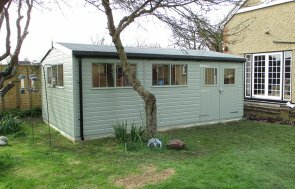 Internally, the shed has a working height of 2.0m and the customer opted to add heavy-duty flooring, which is essential for maximum durability and for protection against frequent footfall. Externally, the apex roof has been covered with our heavy-duty, heat-bonded felt and the exterior walls with shiplap cladding coated in our Light Oak preservative. This preservative not only allows the natural grain of the wood to show through, but also protects against fungus and woodworm. 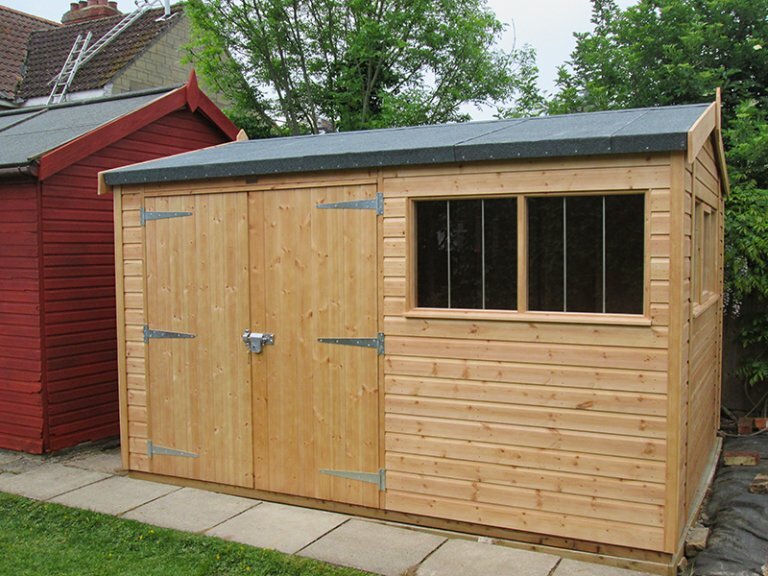 The customer also chose our security pack feature for added peace of mind which includes stainless steel window bars, a heavy-duty, 7-lever sliding bolt lock and non-returnable screws on the door hinges. 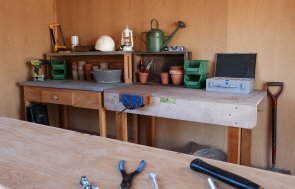 If you would like to browse our entire collection of Superior Sheds, we suggest a visit to your local show centre which is located at the Goldcliff Garden Centre also in East Sussex. Alternatively, you may wish to get in touch with us by telephone to speak to one of our friendly advisors.